Giving your business an online presence. The power of the internet now means that your brand is accessible by anyone, anywhere. Your website is an important digital marketing tool and a good web presence is key for winning and maintaining clients. Websites need to be continually nurtured to get the best results and Hyphen also provides on-going support for a range of digital services. We design and create easy to edit websites specifically tailored to your requirements. All of our websites utilise the powerful Divi framework, allowing you to create new pages easily with a simple to use drag and drop editor. Perfect for start ups, or businesses that need to bring the existing website up to modern standards, all of our websites are responsive for mobile phones and tablets as standard. Our most popular solution – a mobile, tablet-friendly and desktop optimised website all in one. A perfect solution to showcase your company, products, services and team. All sites have a built-in, easy to use content management system, so you can make changes as often as you like and comes search-engine friendly, responsive and retina ready as standard. Hyphen can also manage the hosting of your website, through a number of industrial grade hosting packages. We host our sites via the robust Amazon EC2 cloud infrastructure, which hosts many storage, security and reliability benefits. All of our hosting solutions also included daily backups, kept for 30 days at a time as standard, meaning even if the worst should happen, you can always get your website back online quickly. A website is not a one-off project, but a continuous investment to keep it at its best. Hyphen offers a range of monthly support packages to keep your website up-to-date, maintained and secure from hackers or bugs. What is the point of having a website if you cannot be found? 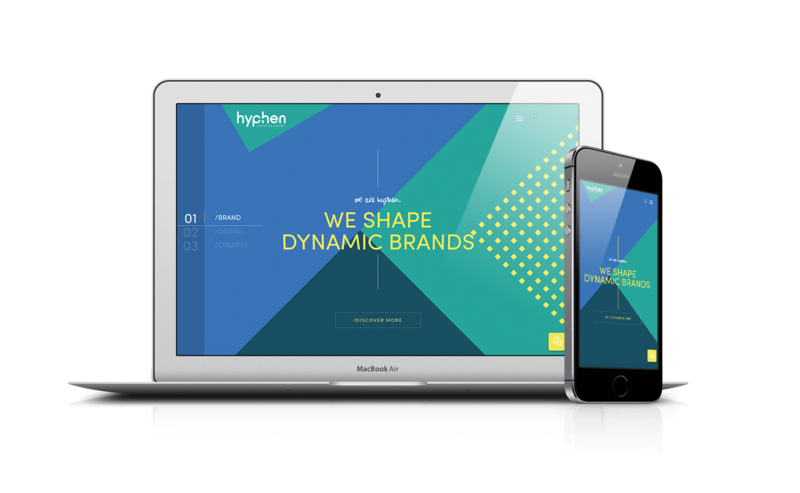 Hyphen offers a Search Engine Optimisation (SEO) service, that aims to improve your organic search engine rankings, helping your website to be found by the right people. Do you need help building your online presence? We would love to discuss your website design requirements in more detail. Please call us on 0116 232 5931 or use the contact form to discuss your requirements further.